Fear of violence is a disturbingly common part of life for female athletes, and it's suddenly in the spotlight following the killings of three women who were just engaging in the sports they love. AMES, Iowa (AP) — It was decades ago, but Sara Schwendinger remembers perfectly the panic she felt when she realized a car was following her as she ran along a country road at dusk, just outside her small Wisconsin hometown. She desperately tore into a cornfield and listened as the vehicle stopped. Now 41 and living in Des Moines, Schwendinger often recalls that evening as she hears comments yelled by passing motorists when she trains along city streets. 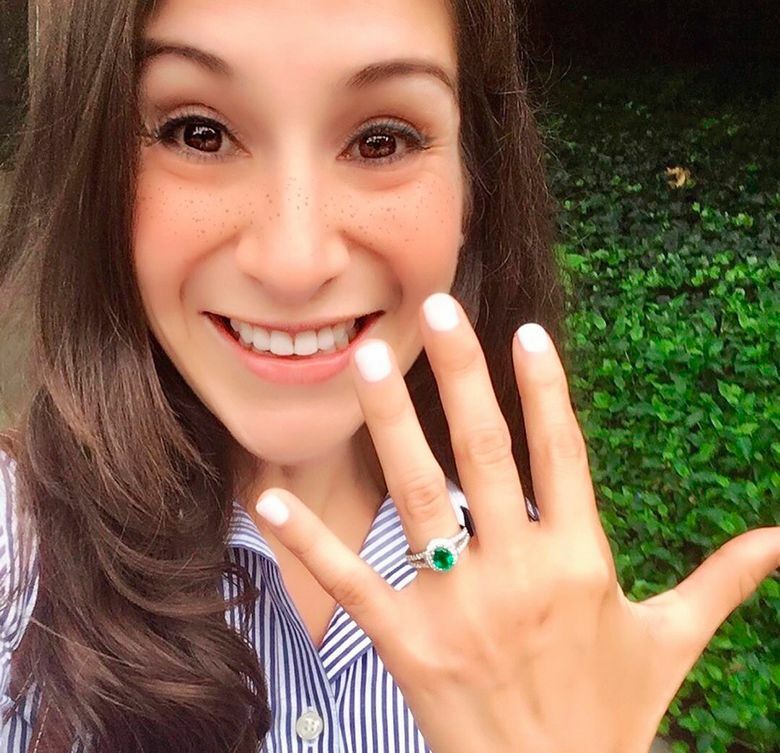 It’s a disturbingly common part of life for female athletes, and it’s suddenly in the spotlight following the deaths of three women who were attacked while engaged in the sports they love. The killings raised alarms about how women can defend themselves and why they must be ready to fight off attackers in the first place. 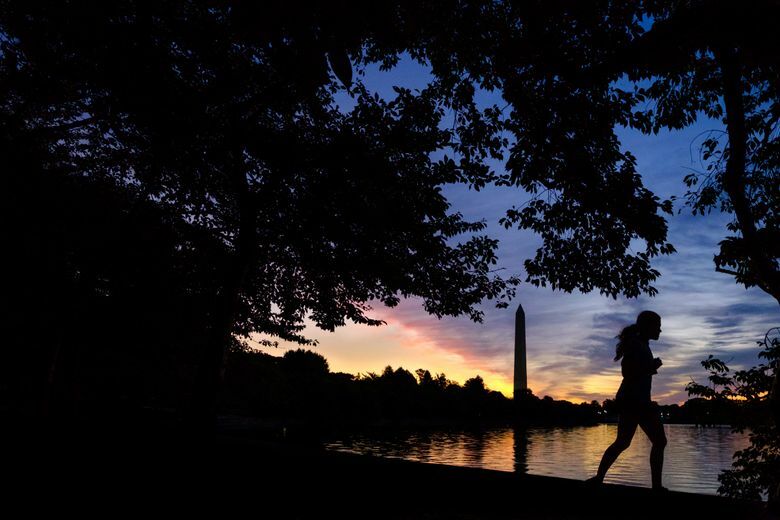 The latest attack happened Tuesday evening in Washington, D.C., when Wendy K. Martinez, 35, was attacked as she went for a run in the Logan Circle neighborhood. She was stabbed in what police said was likely a random attack, dying after she staggered into a restaurant where customers tried but failed to save her life. 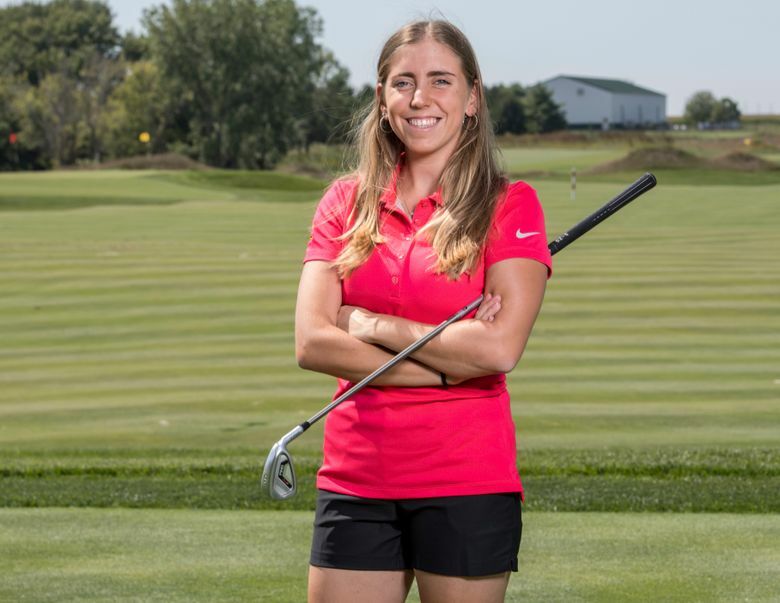 A day earlier, Iowa State University golf star Celia Barquin Arozamena was stabbed to death during a random attack while she was golfing by herself in broad daylight on a course not far from campus in normally quiet Ames, Iowa. 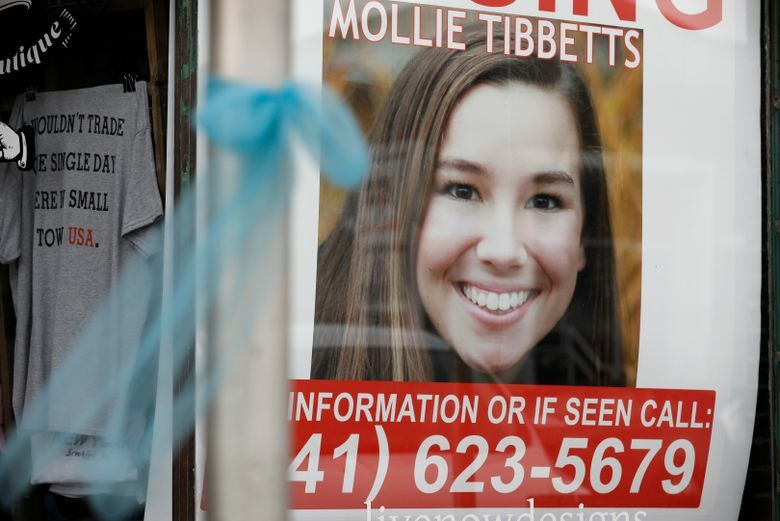 That attack came little more than a month after the body of University of Iowa student Mollie Tibbetts was found hidden among corn stalks near her small hometown of Brooklyn, Iowa. She had disappeared weeks earlier after going for a run. Police have charged men with murder in both of the Iowa killings. Tibbetts’ death prompted an outpouring from other runners, especially on social media under the hashtag #MilesforMollie. Hundreds of women shared their experiences of being harassed and followed and vowed to keep running as a show of defiance. “It was foggy & still dark when I went for my run this morning. I looked over my shoulder more than usual, but running outside is something I love too much to let fear stop me,” one Twitter user said. “I just want us all to be able to feel safe and free when out on a run — is that so much to ask?! ?” someone else lamented on Instagram. After Tibbetts’ death, Bobenhouse’s store set up a meeting to discuss safety issues and had to move the gathering to the city’s main library due to an overwhelming response. 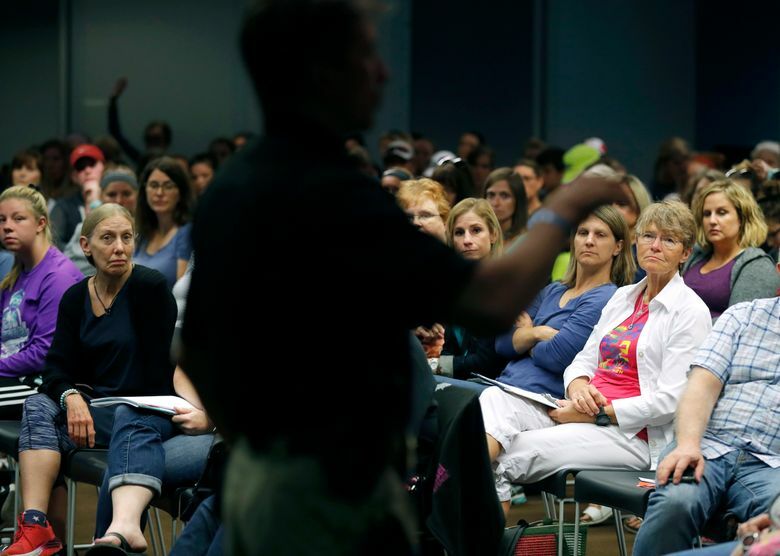 More than 200 women gathered that night to hear from police and share best practices on how to stay safe while running alone. Kathleen Meek, who helped organize the event, said a key issue is situational awareness. Other suggestions included using the buddy system, joining a running/biking club and informing others of intended routes should something go wrong. 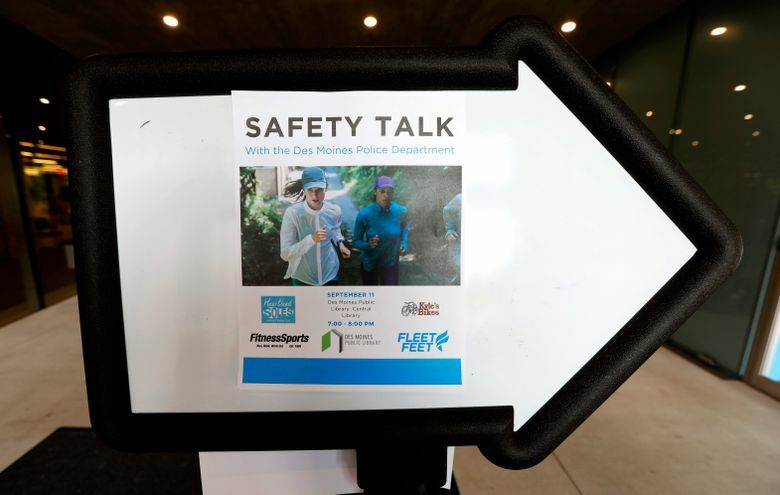 Des Moines police spokesman Paul Parizek, who hosted the meeting, also warned women to know their abilities and understand their limitations should they find themselves in imminent danger. “There’s a lot of conversation now, especially since Mollie Tibbetts’ (death), about, do I need a gun? Do I need a stun gun? Pepper spray? What do I need? Well, that depends on what you’re willing to do, what you think you need to do and what you’re capable of doing,” Parizek said. According to Joseph Giacalone, a retired New York City detective and sergeant who now teaches at the John Jay College of Criminal Justice, one of the ways that women can also put themselves in danger is when they share their whereabouts on social media. 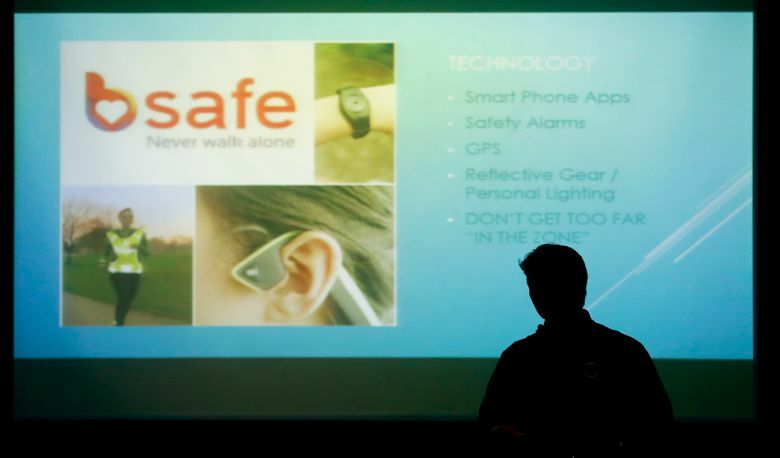 Giacalone says his warnings to his students not to announce their plans on Instagram, Twitter or Snapchat can “fall on deaf ears.” But he also tells his students to change up their routines as often as they can and make sure their headphones aren’t turned up too loud to for them to not know what’s happening around them. If there’s one thing Parizek, Giacalone and Schwendinger agree on, it’s that women shouldn’t have to face these issues to begin with. But they do, and Schwendinger, the cross country coach at Roosevelt High in Des Moines, said it happens to her so often that she’s “almost” unfazed when she’s harassed while running. Recently, a truck full of men yelled out lewd comments to her in the middle of the day on a busy main street between downtown and the airport. 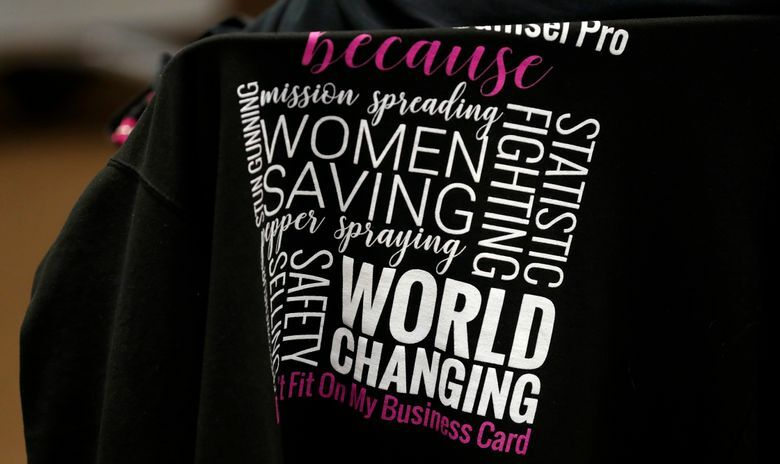 To Schwendinger, the issue is less about women learning to protect themselves and more about changing the dialogue about women being objectified.